Arsenal are reportedly leading the way for Crystal Palace youngster Aaron Wan-Bissaka, although it will cost them up to £40m to prise him away from the Eagles. The 21-year-old has impressed so far this season, making 29 appearances for Roy Hodgson’s side while he has been capped at U21 level for England. With a bright future ahead, it remains to be seen how long he remains at Selhurst Park, as speculation continues to build over a possible move elsewhere. According to The Sun, Arsenal are now in pole position to sign Wan-Bissaka, although it’s added that it will cost them £40m or more to secure a deal with Palace. It comes after Hector Bellerin sustained another serious injury setback earlier this season, and so perhaps with that in mind, it could force the Gunners to look at their options and enter the transfer market. Nevertheless, time will tell if Arsenal have got the funds necessary to not only match Palace’s demands but also the wages involved in convincing the youngster to join them, with the report adding that Man City and Bayern Munich have also been linked with an interest. 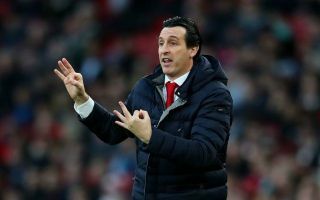 That will be stiff competition to fend off if they enter the scrap this summer, but the report above would suggest that Arsenal are in a strong position to land Wan-Bissaka’s signature as he’s tipped to be an ideal signing for Unai Emery as he suits his style of play.